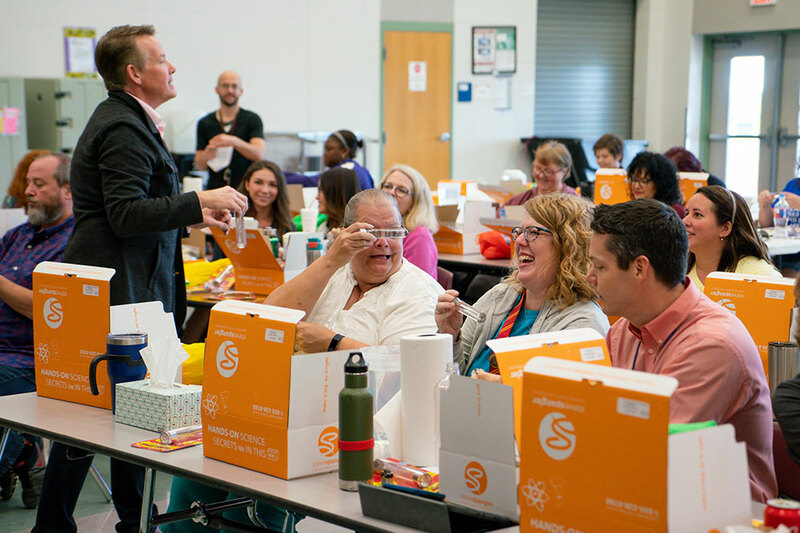 Once again, we are excited and honored to be asked to partner with CITGO’s Fueling Education program as they support professional development with our STEM teacher training workshops and summer science institutes. 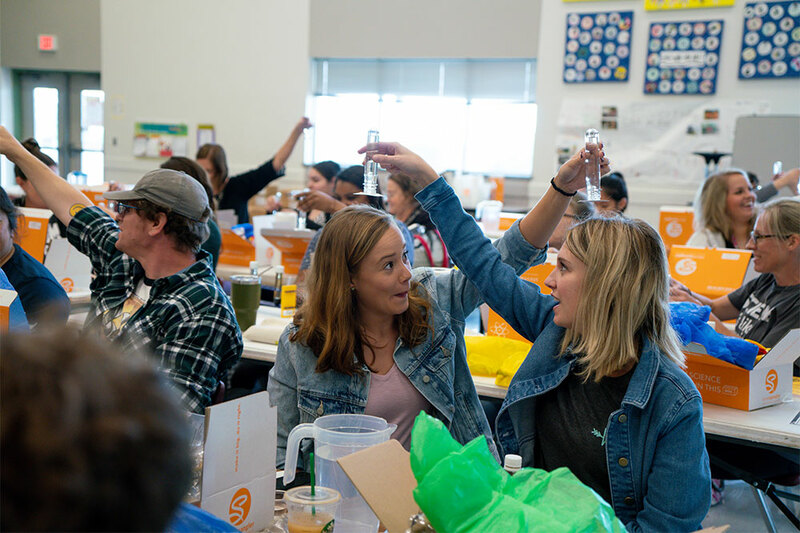 This year, grand prize workshops have been awarded to three teachers who demonstrated impact and influence both in the classroom and as a science leader in their school. 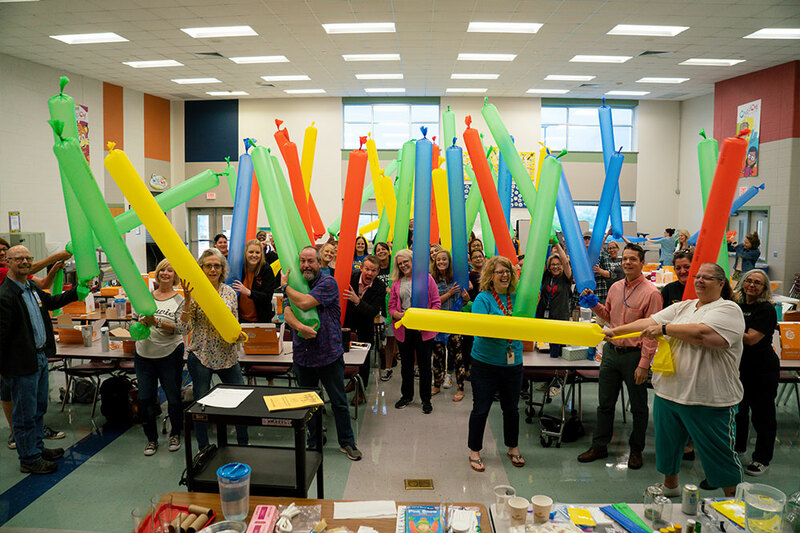 Today,Steve traveled to Pflugerville, Texas with our workshop team (Carly Reed and Bryan Higgins) to personally congratulate Susan VanDeWater from Wieland Elementary School. 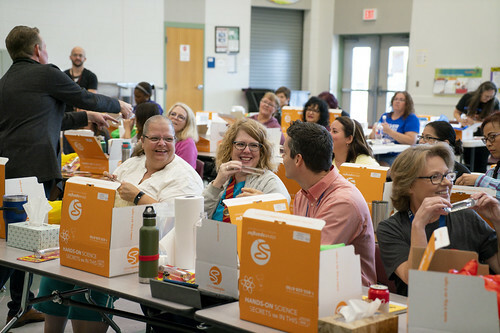 Teachers from elementary and middle schools throughout the district joined us for a full-day STEM Boot Camp to explore best engagement strategies and presentation techniques to make teaching science more fun and effective in the classroom. 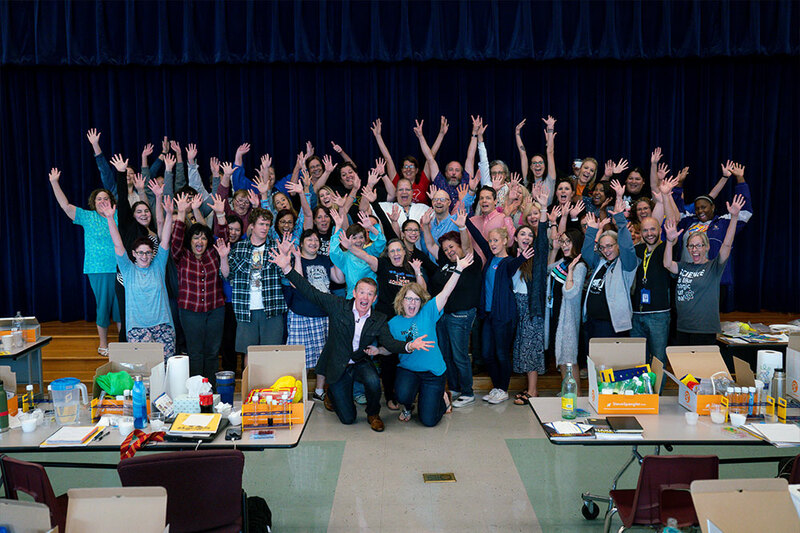 Learn how you can bring this fun, Professional Development STEM Boot Camp to your school by visiting our website or contacting Carly Reed at 855.228.8780. Visit CITGO’s Fueling Education page for details on next year’s program.